Select the color to adjust from the list by left-clicking. Adjust the color using the color-selector controls, and then click the 'Accept' button to apply the change. The color change is visible in the main program once it has been accepted. Selecting the 'Use Default' option will use a default color from either a more general color item (eg. 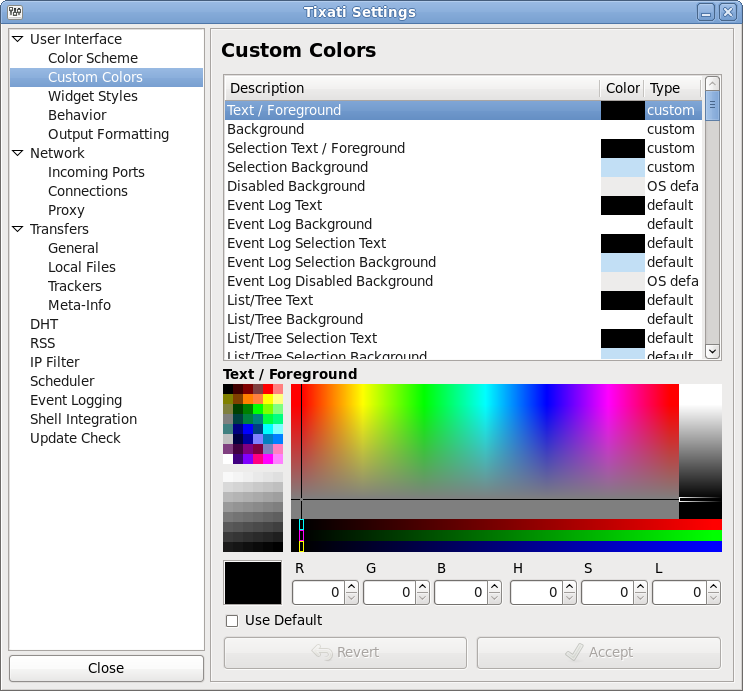 'List/Tree Background' defaults to 'Background' color,) or a color from the operating system standard colors. The 'Revert' button will set the color that was configured when the item was initially selected in the list. Any square on the lower palette can be changed to the current color by right-clicking.